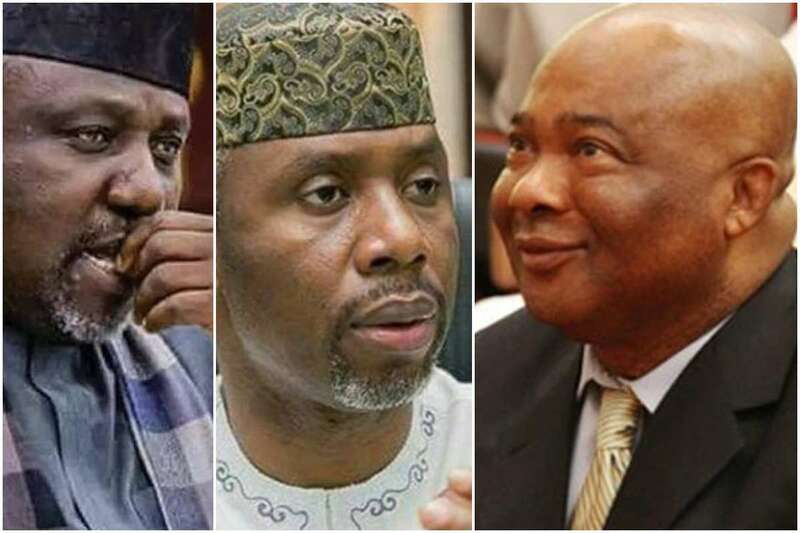 Governor Rochas Okorocha of Imo State has accused the National Chairman of the APC of assisting Senator Hope Uzodinma to evade arrest and criminal trial he is already facing. Senator Hope Uzodinma (APC-Imo West) was arrested on Sunday by the Special Presidential Investigation Panel For Recovery of Public Property for the failure of his company to execute a contract of $12m for the dredging of Calabar channel. The lawmaker, who emerged as the All Progressives Congress governorship candidate in Imo State under controversial circumstances, has since denied that he was arrested. In a statement on Tuesday by his Chief Press Secretary, Sam Onwuemeodo, Okorocha attacked Oshiomhole for his insistence on Uzodinma as the governorship candidate of the party in Imo State. The governor said: “Chief Uzodinma is desperate to govern Imo State through the assistance of men like Adams Oshiomhole to evade the criminal trials he is already facing. “His idea is that once he becomes governor, he would be leveraging the immunity provision to evade these trials. “This is the man Oshiomhole wants to govern Imo people. If Oshiomhole had asked questions, and if he was keen on APC’s victory in Imo, he would not have gone into any deal with Chief Uzodinma.